Miretech Engineering designed this mammoth wall to hold up Sims Estate Drive, near Chicopee. 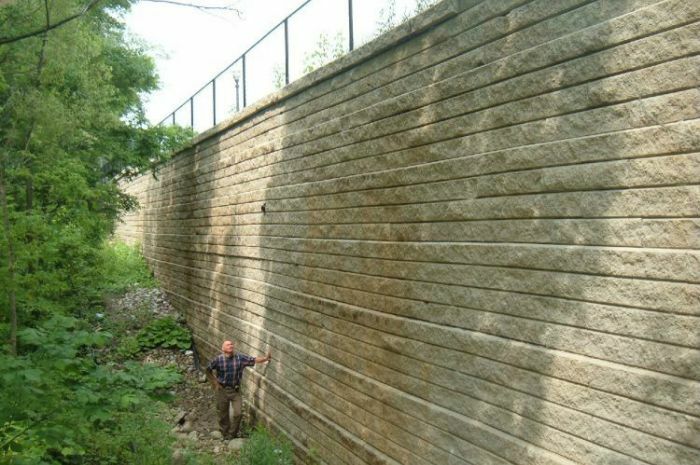 We used Hanson Grande to construct this wall in very wet and difficult conditions in late fall 2005. At its peak, the wall is 8 meters in height.